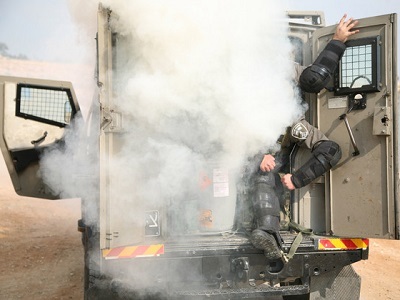 In 2013, there were 399 incidents of settler violence against Palestinians in the occupied West Bank. 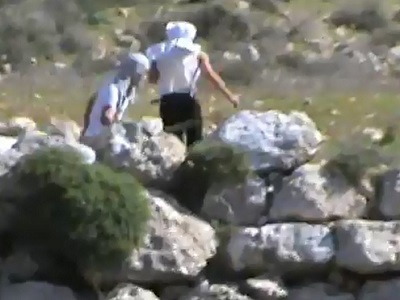 The videos released by joint Israeli-Palestinian human rights group Ta’ayush show an Israeli activist who has accompanied Palestinians to their farm lands in the village of Khirbet Shuweika in the South Hebron Hills being assaulted by Jewish settlers. An Israeli activist affiliated with Ta’ayush had accompanied local Palestinians after they had been prevented from reaching their lands numerous times in recent weeks by local settlers, even though Israeli authorities recognize the area as private Palestinian land. Israeli news site Haaretz quoted an IDF spokesperson as saying that the video was “tendentiously edited,” and that Israeli soldiers on the scene had acted to “distance” the settlers and call on police to investigate the incident, as per protocol, according to +972. In the last week alone, hundreds of olive trees across the West Bank have been chopped in a number of incidents targeting Palestinian farmers’ livelihoods.